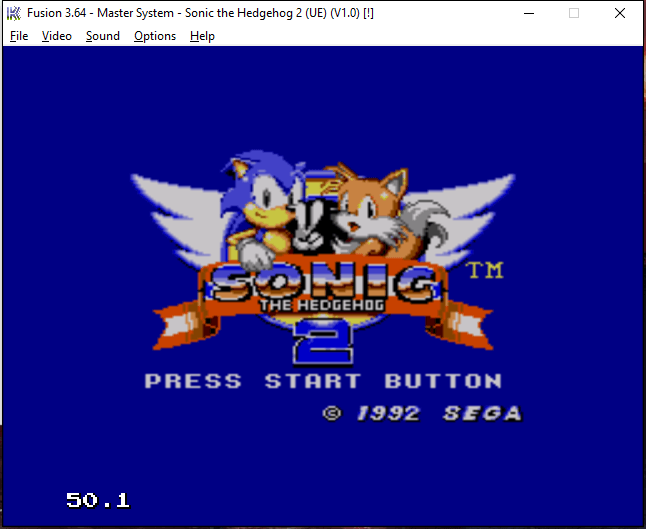 Recently I had a request on how to play old Sega Master System games on windows pc, so this is just a quick guide, on how to play old sega games on your pc. I normally wouldn’t write just about one emulator as there are loads for all different systems, but I had already wrote instructions for this one so thought would just share the info. 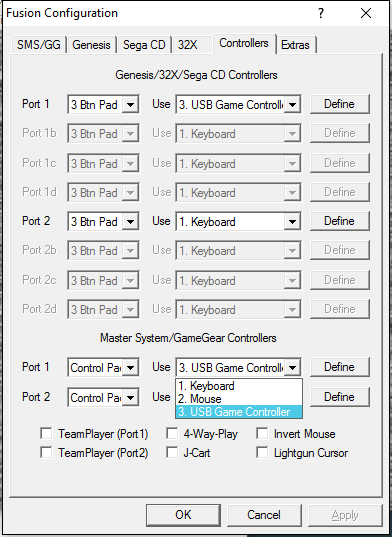 Fusion which was formally known as “kega II or Kega Fusion” is a sega emulator for windows based pc’s that supports Sega SG1000, SC3000, Master System, Game Gear, Genesis/Megadrive, SegaCD/MegaCD and 32X. The emulator doesn’t seem to have been updated since 2011 & the documentation says will work on win9x,me,2000 and xp, though I have tested on windows 7, 8, and 10, so shouldn’t be a problem on whatever version of windows you have. You can download Fusion 3.62 from the “emu paradise” website HERE , also emuparadise is a great source for games for emulators, which later in this article are tips on how to download games for your emulator. Once you have downloaded the emulator, which is contained in a zip file, copy the contents to your preferred location on your hard drive. Inside the folder I would recommend creating a folder called *Games* to put your games that you download in. Remember the emulator doesn’t come with games. Just open the fusion.exe file and the emulator loads, you have the menu bar and the main screen upon launch looks like the static on an old TV. To load your games click the file menu, then load depending on the game type you wasn’t to use and that’s it your game will load. With everything I have threw at it, not really had to do any other configuring other than your controls. 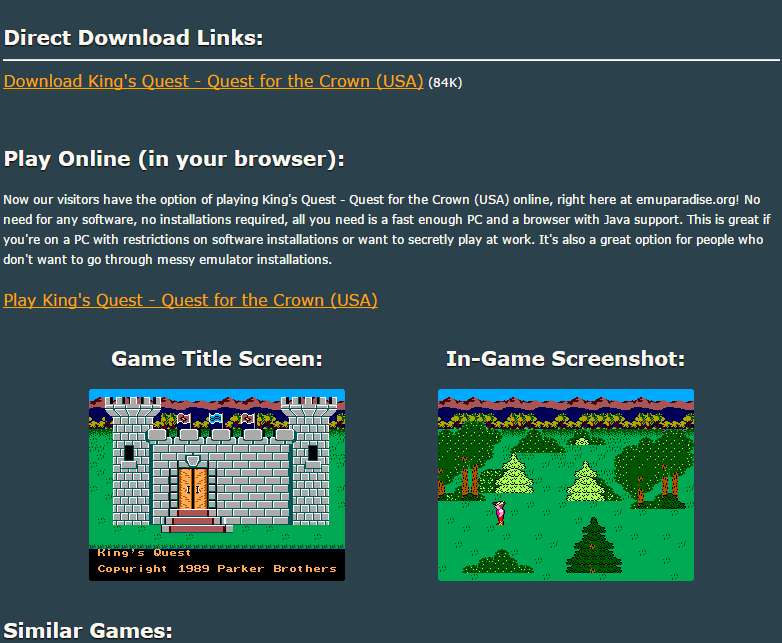 This is section is just how to download and use the games for this emulator from emuparadise HERE, other sites are available I just personally prefer this one. From the link then select then system you want, Either click the letter of the first letter of the game you want or below that you have a search button. On the game page for the game you want, under the QUICK NAVIGATION, click download links, and then click the download button for that game. File you download normally are in zip format so you could either extract the file out of the zip file or with fusion you can open the zip file for the game direct without unzipping. This is just a quick guide that I had written for someone else on the basics for this emulator there are loads of other options within the program and other emulator available. If you have any problems running this emulator I would recommend reading the readme file within the fusion folder, as I cant really answer questions on this as I don’t use it myself and just though would share my instructions that I had wrote for someone else.